Pastel Painting and Happy New Year! First of all, I wish you Merry Christmas or the happiest of the seasonal holiday you celebrate and Happy New Year! I wonder how you will choose to challenge yourself in 2016. There are so many levels on which we can grow and take care of ourselves. 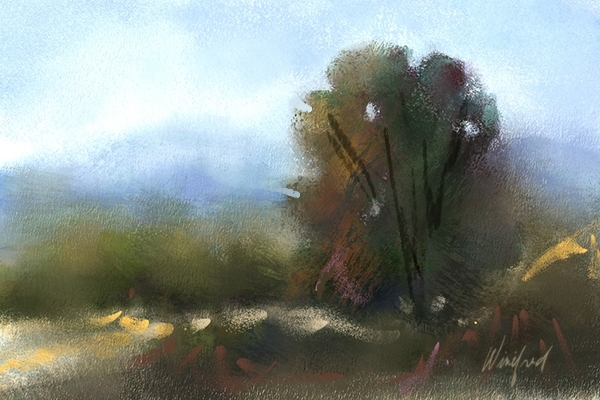 I plan to continue pastel paintings for some months to come as well as to study landscape painting. 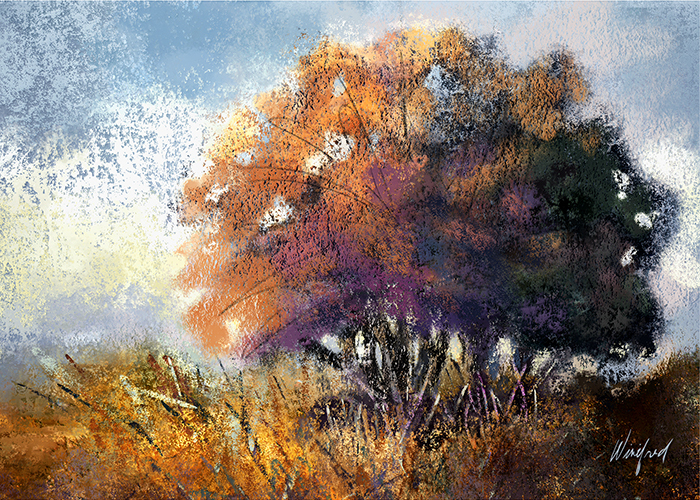 I have resisted landscapes for quite a while now but have begun to find some joy in them. 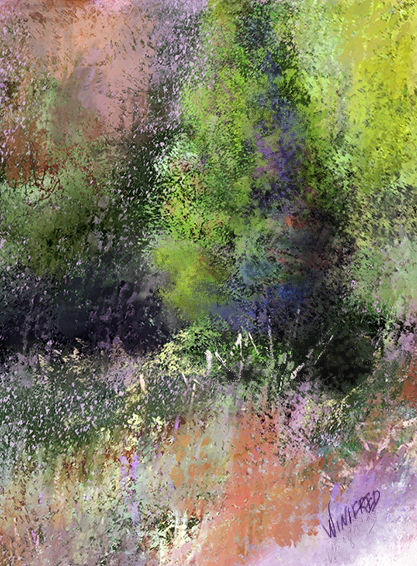 To create pastel paintings even digitally requires more than selecting a “pastel brush variant” in Painter to paint with. I have studied the work of several accomplished pastellist. There are many great ones but my favorite is Karen Margulis. Her work is diverse and ranges from expressive, highly textured almost abstract looking paintings to a very classic traditional look. I find her range of pastel paintings exciting. 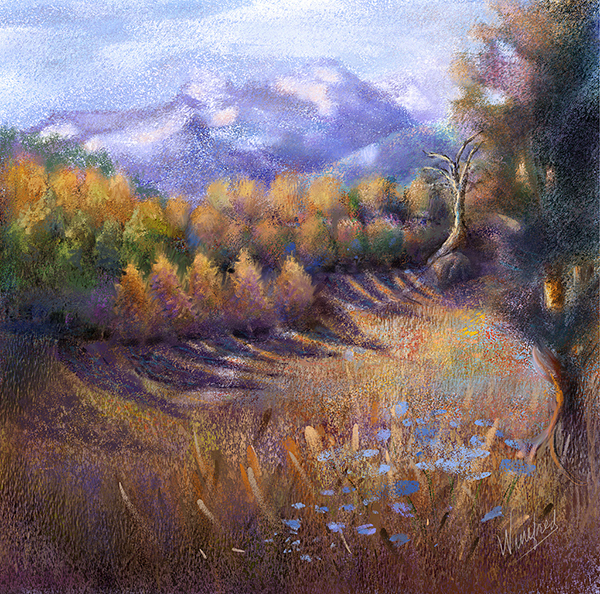 I probably view 50 to 100 pastel paintings per day before I begin to paint – as inspiration. 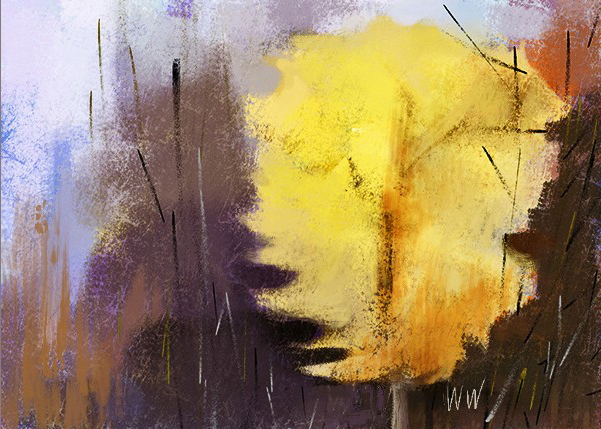 The following are a few practice paintings I’ve recently created – varying in style. I think you can see what a great time I’ve been having. 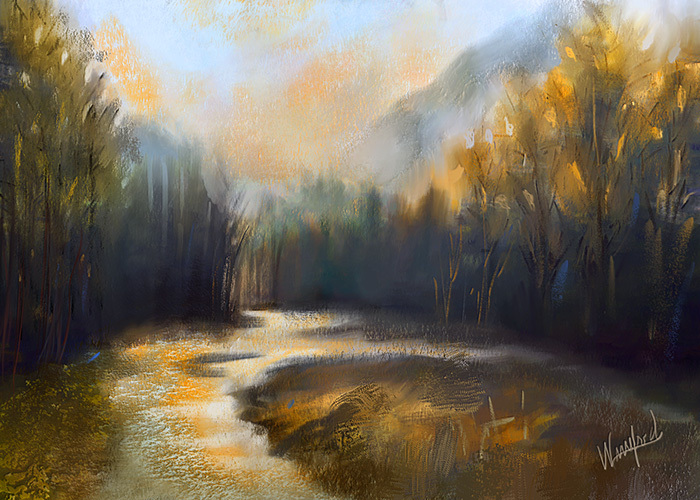 I will continue to offer classes at Digital Art Academy in 2016. I love portrait painting and will offer a class in painting portraits with pastels, as well as other styles of fine art painting. I wish you a wonderful year of challenge and accomplishment – including getting some rest and taking care of yourself. 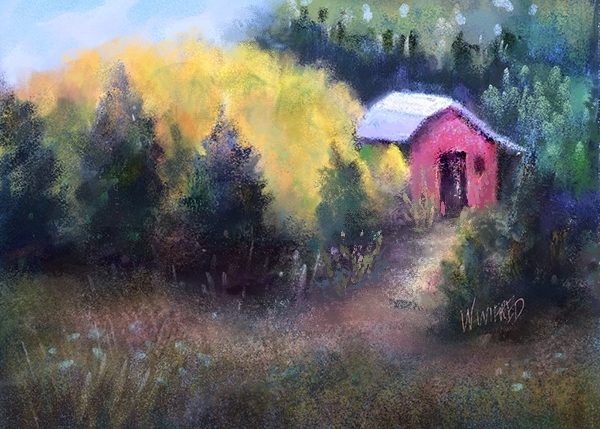 This entry was posted in Painter 2016 and tagged Painter 2016 Training by Winifred Whitfield. Bookmark the permalink. I’m starting to love pastels. 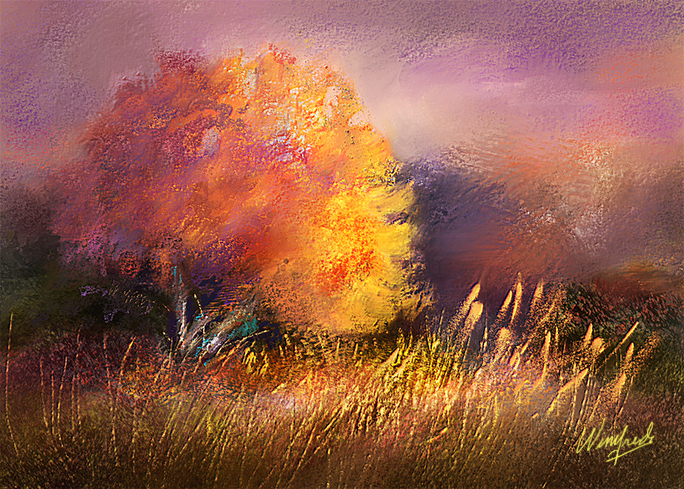 Saw what Skip is doing, plus will use his generous pastel brushes. Love your River in OSO best! You’re an inspiration! Have been taking Karen and Skip’s courses recently. Happy Holiday and Happy New Year! These are wonderful! I love pastels the best! I don’t know if I’m accomplished enough to tackle a pastel class with you yet, (still want to fix the final in the portrait class that just finished), but I love what you’re doing! 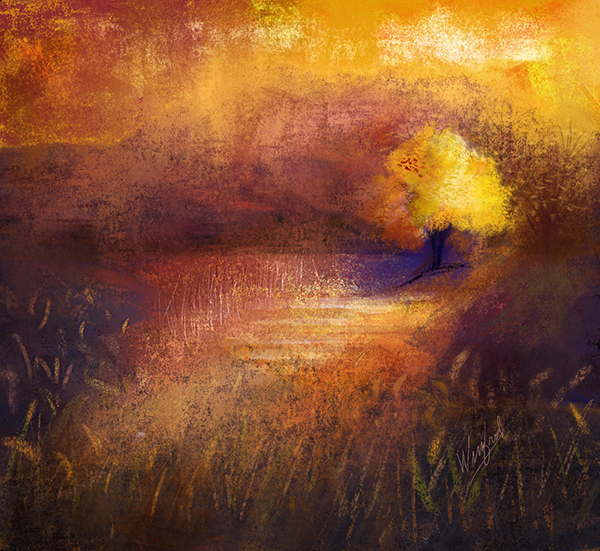 Hi Vicki, Sometimes you have to just jump in and painting by painting you learn. Be sure to find lots of pastel paintings created by the traditional painters to view. It will help you to train your eyes. You don’t learn this overnight – it’s journey and well worth the effort. I wish you well.